Written by Cressida Cowell, creator of the bestselling How to Train Your Dragon series and with beautiful illustrations by Mark Nicholas, winner of the Carmelite Prize. 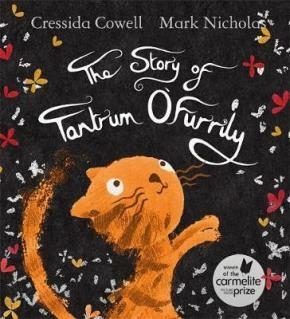 Tantrum O'Furrily's kittens are hungry and doubt that a story can ease a stray cat's rumbling stomach. However, they soon learn that stories are powerful, and that if you're courageous you might find a saucer of milk at the end of that story.